Congress President Rahul Gandhi Friday courted arrest after staging a protest outside the CBI headquarters here against the move to divest CBI Director Alok Verma of his powers and send him on leave. 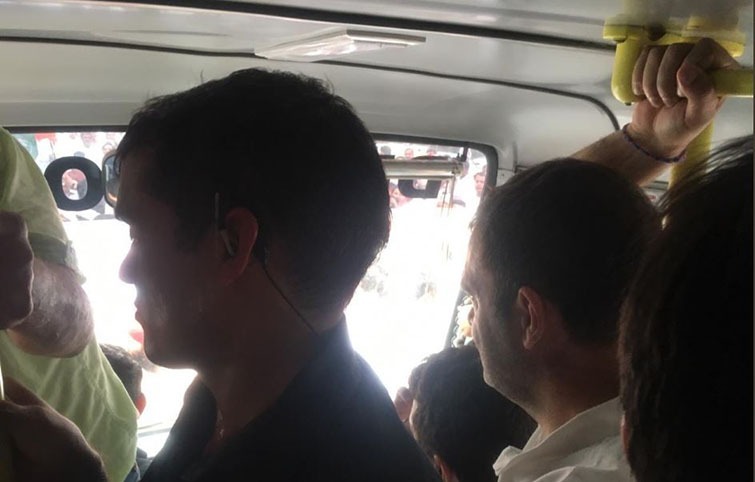 New Delhi: Congress President Rahul Gandhi Friday courted arrest after staging a protest outside the CBI headquarters here against the move to divest CBI Director Alok Verma of his powers and send him on leave. Earlier addressing the gathering Gandhi attacked Prime Minister Narendra Modi over the issue. He also accused him of destroying institutions including the CBI, the Election Commission and the Enforcement Directorate. Today, Modiji was again reminded that ‘Modi Rule’ fails miserably before ‘Rule of Law’. Brazen attempts to interfere, infiltrate or capture institutions will be banished. Loktantrik Janata Dal leader Sharad Yadav, CPI leader D Raja and TMC's Nadimul Haque joined the protest. The Congress' protests in the national capital were replicated in other parts of the country. State Congress leaders led demonstrations in their regions against what the Congress described as the "illegal, unconstitutional and illegitimate removal of the CBI director by the Modi-Shah duo". The apex court said former Supreme Court judge A K Patnaik will oversee a CVC inquiry into the allegations against Verma and the report has to be placed before it within two weeks. It directed that interim CBI chief M Nageswara Rao shall not take any major policy decisions. Decisions taken by him since October 23 till date shall not be implemented, it said.